With any type of large purchase, it’s smart to cover your assets to ensure you get your money’s worth out of the product, and your RV is no exception. But, you also have to be careful to avoid over-paying for unsatisfying coverage that may leave you in a frustrating situation. Read on to learn more about extended warranty options to consider to protect both your motorhome and your pocketbook. Unless you’ve been gifted with the ability to predict the future, there’s no telling how often any of your vehicles might need some extra assistance for repairs or servicing. 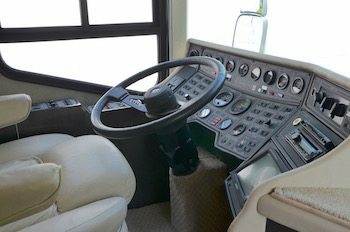 However, the difference between your RV and your personal car is that your motorhome is, of course, equipped with a variety of large (and expensive) appliances and mechanisms which can cost a chunk to fix, as labor can cost upwards of $300 per hour. Because of this, many owners find the option of small payments over a period of time to help off-set these potential repair expenditures appealing in comparison. One of the most important steps in choosing a warranty plan that’s right for you is knowing what is and isn’t covered by the policy you’re considering. When it comes to RV warranties, there are two types of plans you should consider: exclusionary policies and listed component policies. An exclusionary coverage warranty will typically be the most inclusive option available, and is also generally easier to understand. In layman’s terms, this type of policy will detail which services are not covered by the warranty, meaning if the repairs you’re seeking aren’t specified as “not covered” in the plan, the company is obligated to account for those costs. Although these plans tend to be more full-coverage, they’re also affixed with a higher price tag. On the other hand, listed component coverage plans do just the opposite: these warranties detail only the services that are covered by the policy. If a repair is not featured on this list, you’ll have to pay for the service out-of-pocket. There are variances in the level of coverage with listed component plans, so you also have some flexibility in deciding how much you want to pay for the warranty. When it comes to choosing a plan option, there are several elements to consider. One of the easiest ways to cut maintenance and repair costs is through self-service, and if you’re well-equipped in the mechanical field, you can save dollars on your warranty by choosing a plan that only covers the areas of your RV you can’t repair at home. In this instance, a listed component policy may be favorable, since you likely won’t need to take your rig to the shop every time you have a breakdown. At the same time, there is a certain peace of mind that comes with knowing big-ticket items are completely covered in the event of an emergency, and an exclusionary plan that includes all of your motorhome’s specialized components can help you avoid major headaches along the way. Additionally, if you spend a lot of time on the road putting regular wear-and-tear on your RV, it’s likely you’ll have more repairs to take care of than someone who only spends a few weeks of the year traveling, meaning higher coverage may be ideal. Take time to analyze your habits and needs to make sure you choose a plan that works for you! If you opt for a lower-coverage extended warranty, it’s especially important to keep up with your RV’s maintenance needs to avoid any mishaps and keep out-of-pocket expenses low. 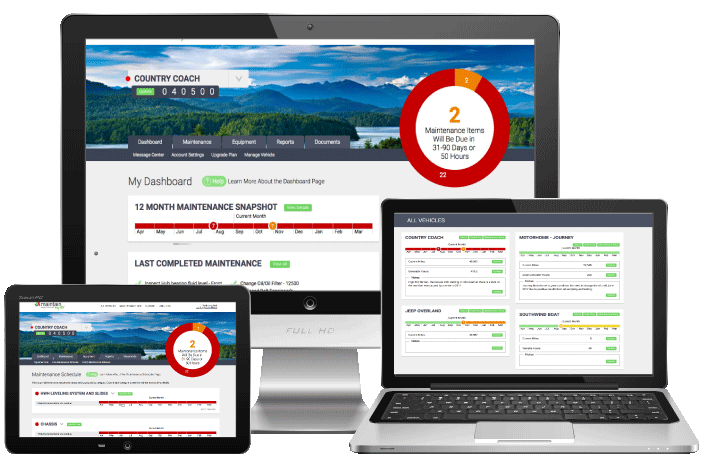 Maintain My RV can help you stay up-to-date with all of your RV service needs by helping you create your own online maintenance schedule and log to make sure you never leave anything out. Visit www.maintainmyrv.com today to ensure safe and happy travels, no matter where the road may take you.